Set in its own landscaped grounds, the Hallmark has recently been transformed into a beautiful boutique-style hotel, offering its guests a home-from-home feeling for less than you'd expect. The 4-star hotel offers luxury and comfort and boasts a high quality leisure club with a swimming pool, a jacuzzi and a steam room. 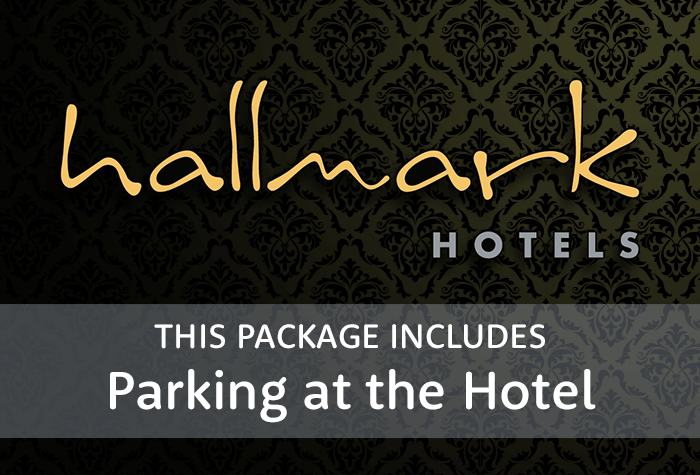 Hallmark Hotel is the ideal choice for your Manchester airport hotel. The rooms are stylishly decorated - all en suite. Very helpful. Very comfortable although the hotel room temp was very hot. Our customers rated Hallmark Hotel on average 8/10 (423 reviews). Read Hallmark Hotel reviews. A taxi to the airport is included in the price. It takes around 5 minutes. Parking at the hotel for the duration of your holiday is included in this package. Park in any space and keep your keys with you during your holiday. The Hallmark is around a 5-minute drive from all terminals in good traffic. Detailed driving instructions and a postcode for satnavs will be on your confirmation email. Rooms are stylish and contemporary with large beds and dark-wood furniture. Guests say the beds are very comfortable but recommend requesting a room away from reception for the best nights sleep. Available on request:Newspapers, dental kit, shaving adapter. 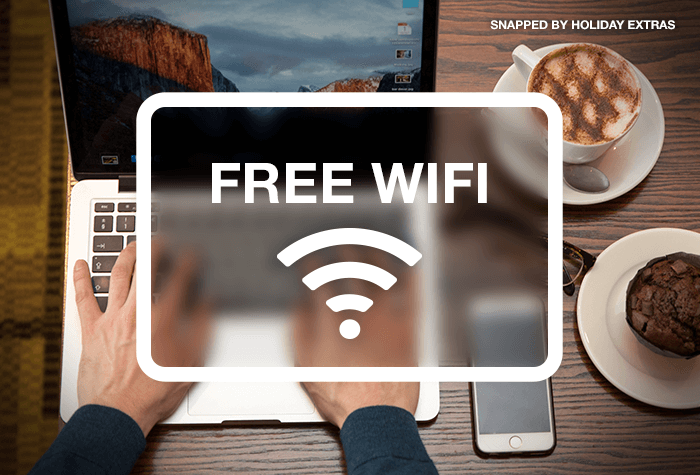 High-speed wifi is free throughout the hotel. Hotel accessibility includes: Accessible parking spaces, ramp access to the hotel, accessible bathrooms. Accessible room includes: step-free access to room, emergency pull cords, grab bars in bathroom, wet room. 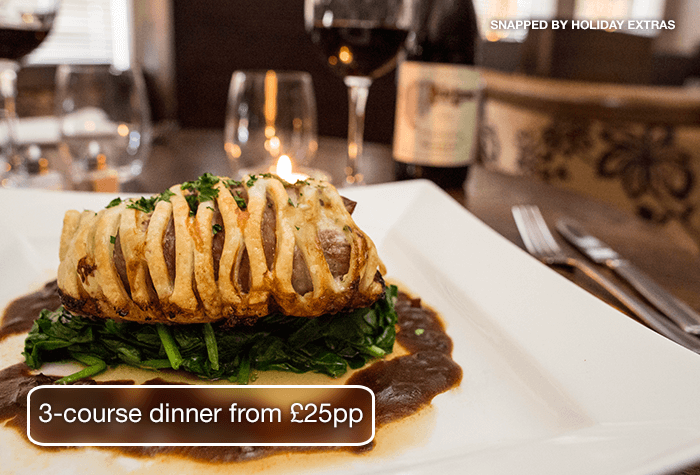 The Brasserie offers a range of classic food choices, such as burgers, pasta and curries. Main meals range between £10.50 - £23.50. There is a special dish of the day from Monday - Thursday for £12.95pp. 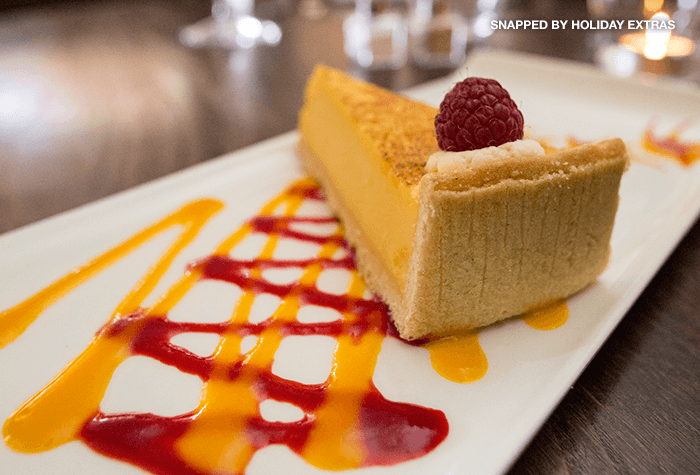 A 3-course dinner add-on, which you can add on the next page, is £25pp. Guests say that the service is friendly and the food is great quality. Open: 6pm - 9:30pm for dinner. The bar serves soft and hot drinks, spirits, wines, beers and cocktails. They also have BT Sport and food served between 10am - 9.30pm. 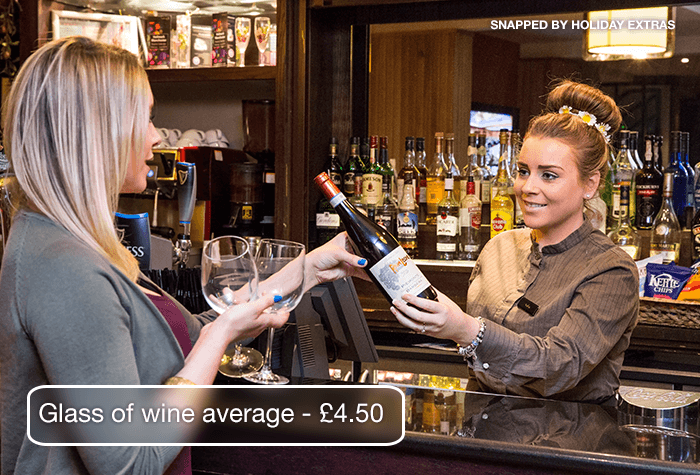 A glass of wine averages £4.50 and a pint of beer averages £4.15. Open: 10am - 12midnight daily. A full English and continental buffet is served. There are vegetarian options and staff are more than happy to offer table service on request. If youd like breakfast earlier, continental breakfast is available throughout the night on the room service menu. 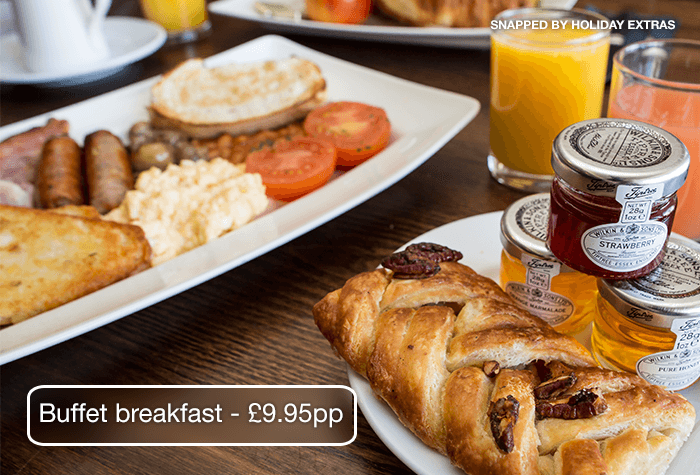 Buffet breakfast is £9.95 per person on the day. 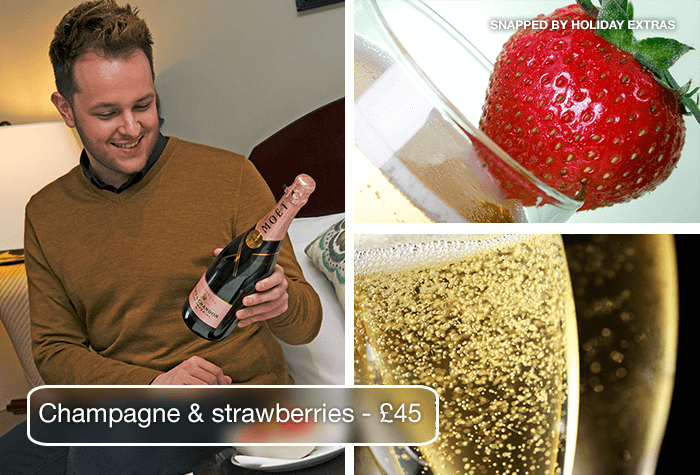 Wed recommend booking it the night before with the hotel to get it for £8 per person. Book the breakfast bag add-on for £6.50 per person with Holiday Extras if youd prefer breakfast on the go. The box comes with a pastry, some fruit, a breakfast bar and a drink. 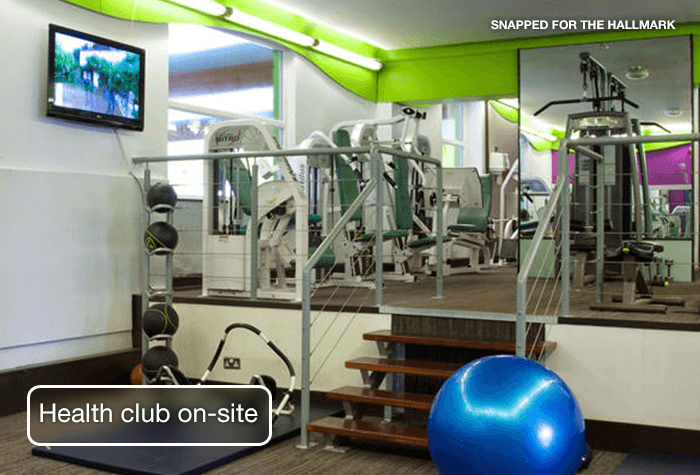 Towels can be hired from the health club. 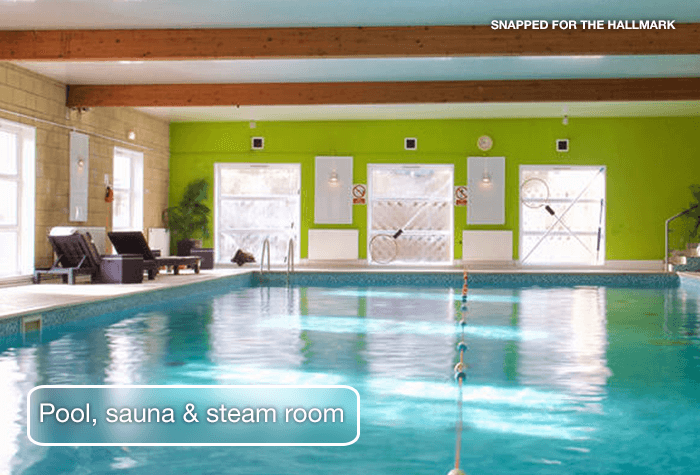 Triple rooms are not suitable for children over 12. Disabled facilities Disabled toilet facilities are available on the ground floor. Let the hotel know when youre ready to leave and theyll book you a taxi to the airport. The taxi is included in the price. Itll take around 5 minutes to all terminals in good traffic. Take a taxi back to the hotel and collect your car from the hotel car park. Make your way to the hotel - check-in is from 3pm. Parking for the whole of your holiday is included in the price of this package. Overnight parking at the hotel is £5. 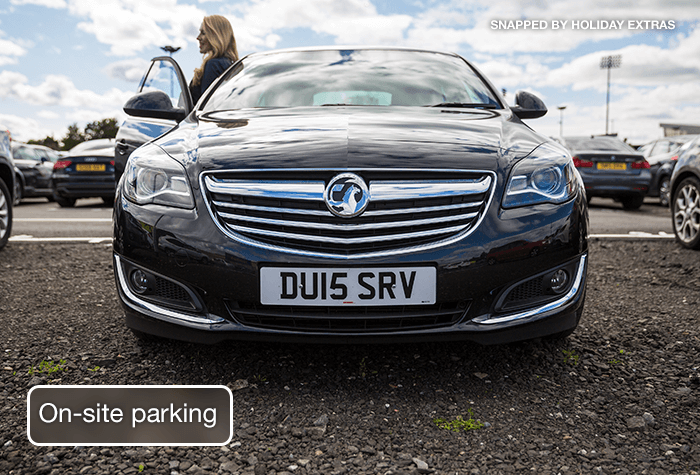 Drive to Long-stay T2, the barrier will recognise your number plate and lift automatically - park in any space and keep your keys. Then take the shuttle bus to the airport. The shuttle takes around 5 minutes to all terminals and runs every 10 minutes, 24-hours a day and is included in the price. Take the shuttle bus back to Long-stay T2, collect your car from where you parked it drive to the exit. The barrier will lift automatically. Drive to Long-stay T1 & T3, the barrier will recognise your number plate and lift. Park in any space, keeping your keys with you. Then take the shuttle bus to the airport. Take the shuttle bus back to Long-stay T1 & T3, collect your car from where you parked it and drive to the exit barrier which will lift automatically.